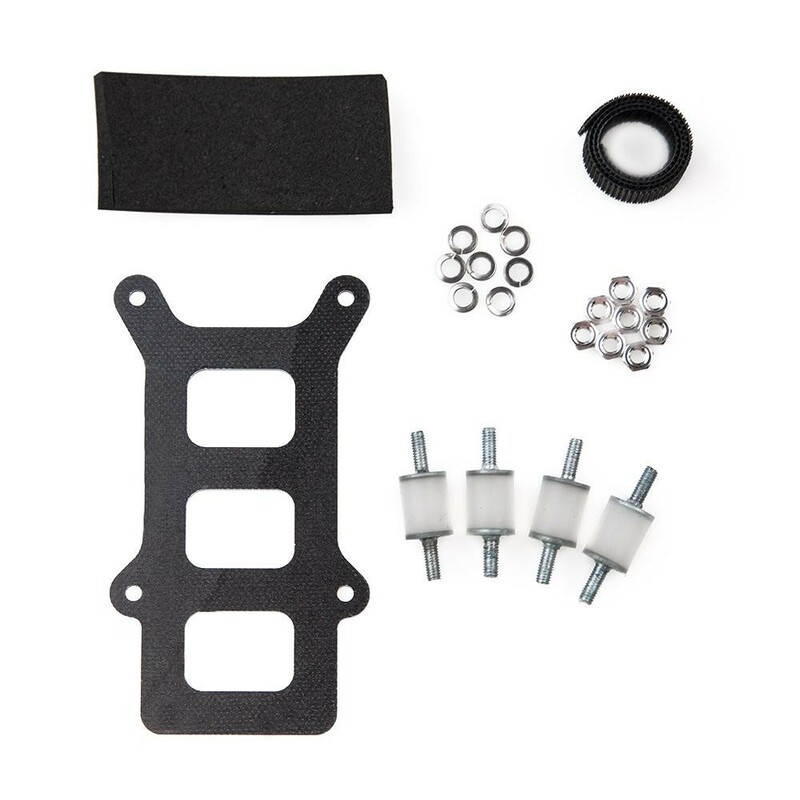 The G10 vibration damping camera plate is for the Mini FPV Quadcopter QAV250 G10 Airframe Kit V2 and will help elimate vibrations coming from your QAV250 before they reach your camera, helping to remove the "Jello" seen due to vibration from propellers and motors on video footage. 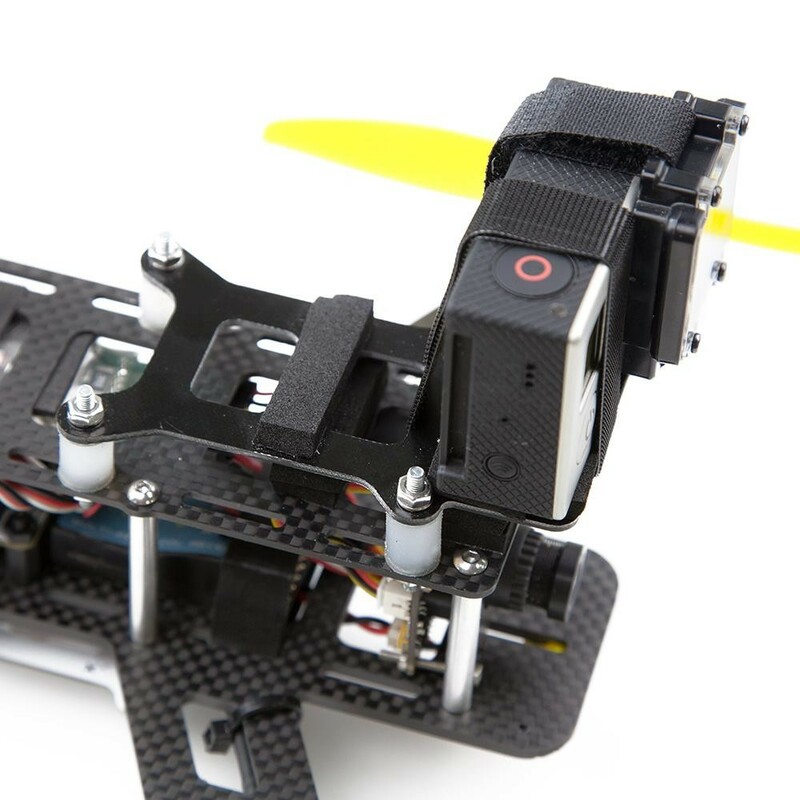 The soft silicon bobbins separate the camera plate from the QAV250 Flight Controller Cover Plate while absorbing vibrations at the same time. The camera plate takes advantage of the QAV250's top plate's slots, the slots allow for the vibration damping plate to slide forward or back by 18mm. 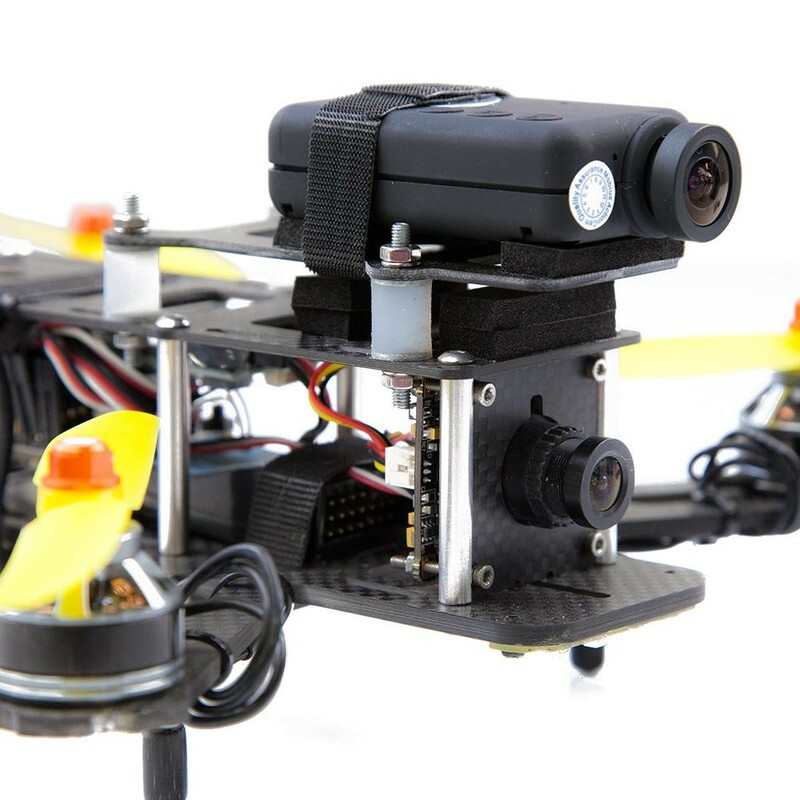 QAV250 Vibration Damping Camera Plate with a GoPro you can mount the camera plate all the way forward, this position will allow you to view without any props or frame in view, even in 1080p wide mode. QAV250 Vibration Damping Camera Plate only adds an additional 18 grams to the frame, this plate can be used on the QAV250 Mini FPV Quadcopter Carbon Fiber Edition aswell. The only way to fit a GoPro securely is to extend the bobbins with aluminum stand offs so you have the makings of a backplate to secure the GoPro to. Extra standoff's are not included for this purpose, they add extra weight. Overall, not designed or suited for a GoPro. As for the RunCam, you'll find the RunCam will not sit between the bobbins as it is too wide. The only solution to this is use the neoprene foam padding to raise the RunCam above the nuts that secure the bobbins. Securing the RunCam is then best achieved using elastic bands and a tie wrap, being careful not to interfere with the RunCam buttons. The use of an elastic band, if sited properly, will prevent ejection of the SD card in a crash. Personally, I think the bobbins are too tall.